Margaret Tudor, eldest daughter of King Henry VII, was the wife of King James IV of Scotland and mother to the future King James V. After King James IV was killed at the Battle of Flodden their infant son became King of Scotland, however, as he was just 17 months old a regency was required to rule in his place. It was originally led by Margaret as part of the royal will under the condition that it would last for as long as she remained a widow. It was unusual for a woman to be in a powerful position and it wasn’t long before some of the nobility began plotting to replace Margaret and looked to John Stewart, 2nd Duke of Albany as their figurehead. Margaret began searching for her own allies in an attempt to keep the regency and looked to the House of Douglas and as a result met Archibald Douglas, 6h Earl of Angus. The couple married in secret on 6th August 1514 in the parish church of Kinnoull, Perth. The marriage between Margaret and Archibald Douglas meant that the terms of her first husbands will was now violated and she would have to forfeit the regency and guardianship of her son. At this news Margaret took her children to Stirling Castle in defiance. John Stewart would eventually negotiate the handing over of the young King into his care. King Henry VIII did not support his sister, at this time he was still married to Katherine of Aragon. Henry viewed Douglas as an ally against Scotland. Margaret disappointed at the lack of support from her brother began moving her support towards John Stewart and the current regency. 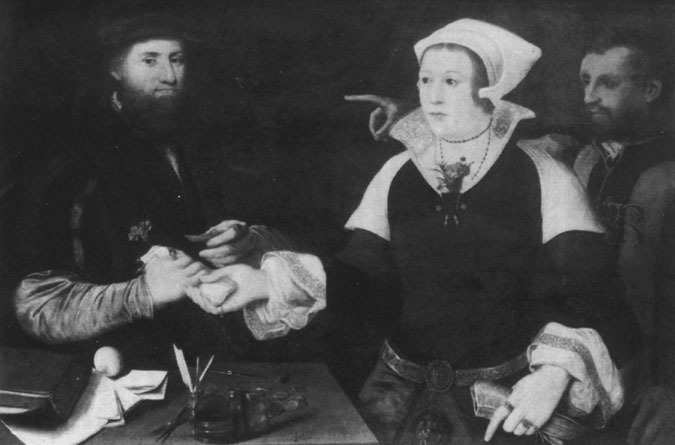 With the help of Stewart the couple were eventually divorced on 11th March 1528.